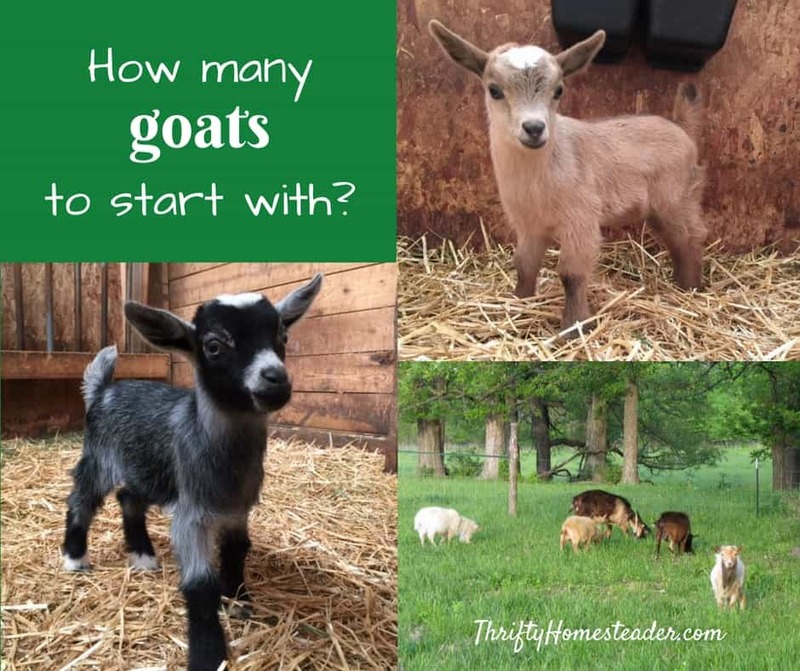 How many goats to start with? If you want a decent amount of milk year-round, three to five does is a good number to start. You can spread out kidding in different months so that you have continuous milk year round. For example, have one kid in January, one in March, and one in May. If you milk them for ten months, you have to dry them off two months before their next kid are due, so you will still have at least one doe milking at all times, as each one takes a four-month break. That’s two months off from milking at the end of pregnancy, and then she’ll be nursing kids full-time for two months. One exception to that is that if she has a single, you should start milking her ASAP because if you don’t, she’ll have a very low milk supply, only producing enough for one kid. A few does can produce more than what twins can consume, but I wouldn’t count on that, especially with first fresheners. To learn more about how many kids a doe can feed, check out this post. I suggest starting with three rather than two, just in case one doesn’t work out for some reason, or if the unthinkable happens, and one dies. Even if you do everything to the best of your ability, they could die from a predator attack or a snake bite or an accident. I don’t recommend starting with more than five, because they will have babies, and you will want to keep some of those adorable kids. If you keep doelings, you can easily wind up with a much bigger herd. 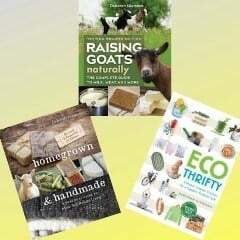 Having too many goats is a major cause of burnout, so start small. So, if you need a gallon a day, how many does should you start with? That depends on what breed you want, as well as the genetics of the goats. I have a friend who used to have Alpines, and her worst milker produced less than my best Nigerian. As far as breed averages go, an Alpine or Saanen should easily produce a gallon a day, so two does would be plenty to meet your needs, assuming they have decent genetics. Some really excellent milkers can peak at two gallons a day, although they don’t sustain that for very long. Other standard sized breeds will produce a little less, so ask the breeder to see the milk records for any does you’re planning to buy. If you’re buying a kid, check the milk records of the kid’s dam and the sire’s dam. Nigerians average about a quart a day over the course of their lactation, so four to six should meet your needs. The best milkers in this breed will peak at two to three quarts a day. Unfortunately, as NDs become more popular, fewer people are paying close attention to milk production, so be sure to ask about milk records. Even if the breeder does not take part in official milk testing, they should have barn records on their goats that they can show you. Since we quit official milk testing last year, we continue to weigh our milk and keep track of it in Excel. Most people start somewhere between 0 and 2 bucks, but the complete answer to that question is even longer than this blog post. So, check out Do you need a buck — or two? 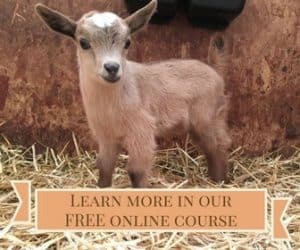 to learn about artificial insemination, leasing a buck, driveway breedings, and choosing between two bucks and a buck and a wether.